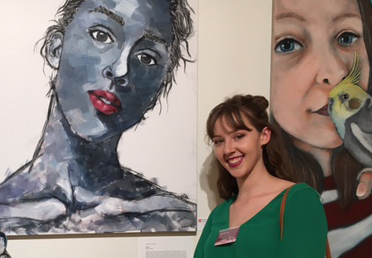 Old Ignatian Sophie Horvat (Class of 2016) has had her Year 12 artwork selected to be on display at the 2017 SACE Art Show. Sophie took influence for the piece from a very difficult period in her life after having suddenly lost her mother to a blood clot last year. Her charcoal and oil work is a captivating self-portrait that depicts her feelings during her time of grief.